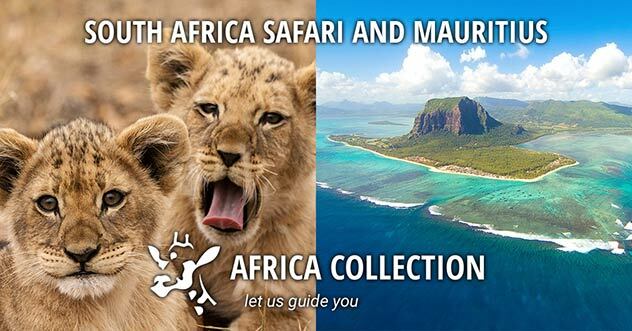 This really is a ‘highlights’ tour of South Africa, a 16 day tour that includes Johannesburg and Cape Town; a visit to the Cape Winelands; open vehicle game drives in Kruger National Park; the Garden Route; Oudtshoorn, famous for the Cango Caves and ostrich farms. 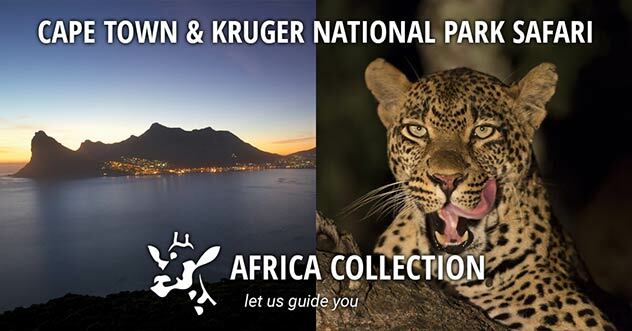 The ultimate South Africa holiday tour with great scenery, exciting wildlife and diversity. Small, personal groups with expert guides. Hotels used are typically of a good 4-star standard throughout, unlike many semi-escorted tours which use 3-star touring hotels. Table Mountain, Cape Town City & Peninsula tours & a Cape Winelands tour. Johannesburg, the City of Gold, Soweto & the Apartheid museum. 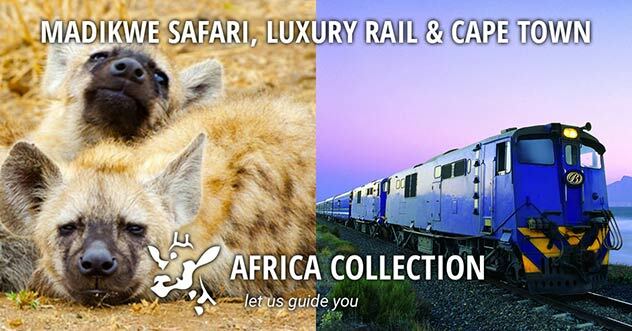 The magnificent Panorama Route & an exciting game viewing & safari experience. Upon arrival at Cape Town International Airport on Day 2, you will be met and assisted with your transfer to your hotel, spending the first afternoon at leisure. On the afternoon of Day 3 you will be collected from the hotel for a scheduled City Tour – a geographical and cultural extravaganza showing you Cape Town from its historical beginnings to modern buildings and malls, returning to the hotel in the late afternoon. On Day 4 you will be collected for your full day Cape Point & Peninsula Tour – an awe-inspiring tour passing magnificent beaches, breath-taking views and historic and picturesque coastal villages to the towering headland known as Cape Point. The tour ends upon return to your hotel during the late afternoon. Day 5 will see you embark on a scheduled full day Cape Winelands Tour. This is a delightful drive, which winds its way to the heart of the Cape Winelands through superb mountain ranges, vineyards and Cape Dutch homesteads. Return to Cape Town during the late afternoon. The President is a large, sea-side hotel located just on the edge of Bantry Bay, along Cape Town’s famed Atlantic Seaboard. The Rooms are either sea-facing or mountain facing. The President is a large, sea-side hotel located just on the edge of Bantry Bay, along Cape Town’s famed Atlantic Seaboard. The Rooms face either the sea or mountains. If you enjoy luxury and sophisticated elegance, savour the sights and sounds of Oudtshoorn from Surval. It is an exceptional working farm estate offering a superb stay. Enjoy a morning tour of the Cango Caves – one of the natural wonders of the world. Continue to the lagoon side town of Knysna – a gem of the Garden Route. Enjoy some time at leisure at the Knysna Waterfront before proceeding to The Crags near Plettenberg Bay. Embark on an informative cruise up the Keurbooms River before arriving at your accommodation where you shall spend the following two nights, in time to freshen up before dinner at the lodge. After breakfast visit Birds of Eden, the largest free-flight bird aviary in the world. Proceed to Hog Hollow Horse Trails for a horse-drawn carriage and wine tasting experience followed by lunch (to own account). Return to the lodge for the remainder of the afternoon at leisure before dinner. Optional: discuss the availability of additional activities on offer in the area with your guide. The nearby town of Plettenberg Bay has great swimming beaches, Tsitsikamma National Park and Storm’s River Mouth are close by, or just relax and soak up the peace and quiet of this stunning area. After breakfast and check-out formalities, journey along the final leg of the Garden Route to the beautiful Tsitsikamma National Park. Described as the ‘garden of the Garden Route’, the Tsitsikamma Forest and National Park actually deserves a more vivid description to encapsulate the beauty of the place. Enjoy a walk along the suspension bridge across the Storms River mouth gorge which offers visitors incredible views and photo opportunities. Arrive in Port Elizabeth at approximately 18h00. The Radisson Blu Hotel is located in the upmarket suburb of Summerstrand in Port Elizabeth. From its prime location, guests are a mere stroll away from beautiful beaches. This morning you shall be transferred to Port Elizabeth Airport for your flight to Johannesburg, the City of Gold. Upon arrival at O.R. Tambo International Airport, transfer to your hotel. 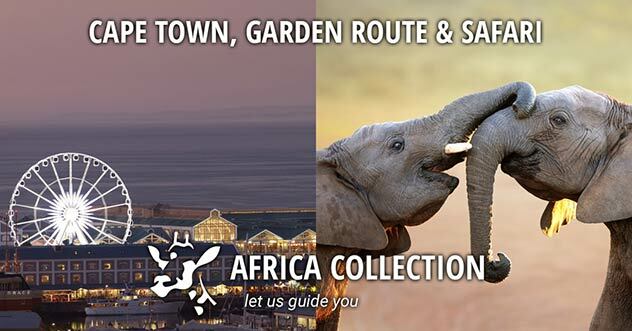 Afternoon collection from your hotel for an afternoon Johannesburg City Tour. Explore the area close to City Hall, Newtown Cultural Precinct and Maboneng Precinct, which has completely transformed the Market Theatre and surrounds. Breakfast at the hotel the following morning (Day 11), followed by a morning visit to Soweto. It is from here that most of the struggle was fought against the injustices of the apartheid regime and is home to sites of historical importance. Enjoy lunch followed by a visit to the Apartheid Museum. Protea Hotel Balalaika is situated in the heart of Sandton, just a short walk from the Village Walk Shopping Centre, Sandton City and Nelson Mandela Square, in Johannesburg. Named after the great Limpopo River the northern most province in South Africa is rich in wildlife, spectacular scenery and a wealth of historical and cultural treasures. Named after the great Limpopo River that flows along its northern border, the northern most province in South Africa is rich in wildlife, spectacular scenery and a wealth of historical and cultural treasures. This uncrowded and natural province boasts wildlife safaris and nature trails – untamed Africa at its finest. This is also the land of wide-open bushveld, big skys, the ever-present thorn tree and the mystical baobab tree. In the Soutpansberg mountains there are 340 indigenous tree species, an abundance of animal life and the world’s highest concentration of leopard. The Limpopo encompasses the northern part of the Kruger National Park, the northern section being wilder, with fewer facilities and a lot less people. There are a number of community projects and lodges that have been opened to compensate communities who lost their land under apartheid and to make for the consolidation of Kruger National Park. The Valley of the Olifants is known also for its spectacular scenery, mountains, rivers, dams, history and cultural and ethnic attractions. The province also borders Botswana, Zimbabwe and Mozambique. The Bushveld Region is dominated by the Waterberg Mountains, the ideal destination for more off the beaten track tourism. The area is steeped in history and some artefacts found here date back to Stone Age times. The Welgevonden, Mabalingwe amd Mabula Game Reserves, all Big 5 reserves, are all found in Limpopo province and offer a variety of lodges and safari experiences. Other places of interest are the Lapalala Wilderness, sanctuary for endangered animals - the world’s only dedicated Rhino Museum can be found here; Haernertsburg, known as the Land of the Silver Mist - this gorgeous village in the misty Magoebaskloof mountains near the town of Tzaneen is famous for its cherries, azaleas and abundant flora and birdlife; the Stone Age and Iron age relics of Makapansgat Valley and the treasures of Mapungubwe that date back to time immemorial; and Bela Bela (Warmbaths), so named because of the hot mineral spring at its centre. A horseback safari offers an excellent opportunity to explore Limpopo and there are a number of operators in this area. The Soutpansberg enables riders to discover this magnificent mountain on horseback, the Waterberg to experience game-viewing in the same manner. 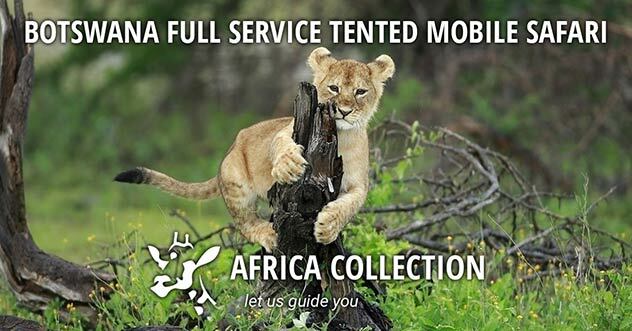 It is an exhilarating experience to ride through the African bush as the pioneers did. Overnight trails and trails of up to eight days are on offer in the Lapalala Wilderness Area, as are day- to three-day trails in the Atherstone and Mabalingwe Nature Reserves. Horseback game-viewing is offered at Mabula Game Reserve in the Waterberg, where novices are welcome except on Big Game trails. Limpopo is renowned for its hot yet pleasant summers and dry winters. Its weather is characterised by almost year-round sunshine. It can get very hot in summer (October – March), with temperatures rising to 27°C (80,6 °F) and, sometimes, even touching the mid-30s Celsius (mid-90s Fahrenheit). After breakfast and check-out formalities, you will be transferred to your African safari experience. 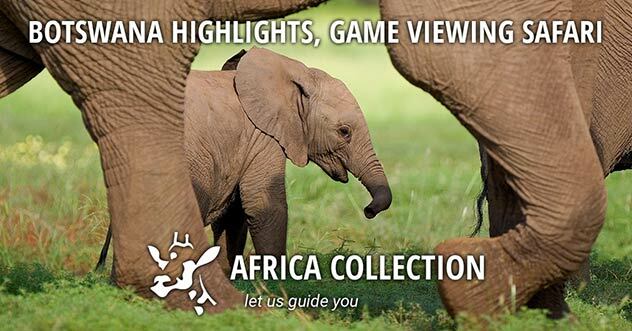 Morning and evening game tracking drives in open 4 x 4 vehicles bring you into close contact with the Big Five as well as the other aspects of our wildlife. 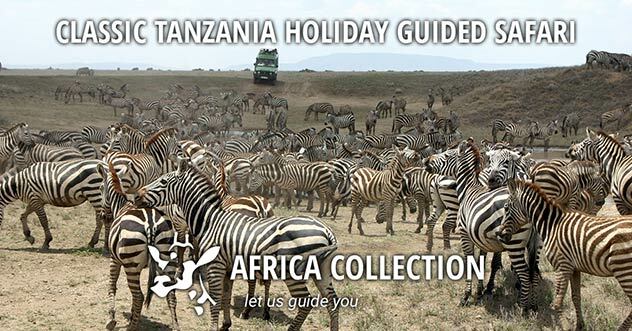 Highly experienced guides will take you on foot to bring into clear focus the magic of the bush with its myriad of busy insects and resplendent birdlife during your stay. Enjoy 2 days of being treated like African Royalty whilst creating a memorable safari experience on the scheduled game viewing activities on offer. Honeyguide Tented Camps are located in the 23,000 hectare Manyeleti Game Reserve between the Timbavati and Sabi Sand Reserve and borders the Kruger National Park. Honeyguide Tented Camps are located in the 23,000 hectare Manyeleti Game Reserve which is between the Timbavati and Sabi Sand Reserve and borders the Kruger National Park. Bongani Mountain Lodge is in the Malelane Mountain range and surrounded by the African bushveld. Here you can connect back to a simple life amidst the tranquillity of nature. Time permitting, embark on your final early morning game viewing activity before returning to camp for breakfast followed by check-out formalities. You shall be collected for your transfer to Hoedspruit OR Kruger Mpumalanga International Airport where the tour ends, in time for your overnight flight to the UK, via Johannesburg. This is an escorted small-group tour of South Africa, that operates weekly with a minimum of 2 guests, and a maximum of 16 guests. Accommodation is as specified in the itinerary and is based on 2 people sharing a twin bedded room. The use of specific accommodation is subject to availability. We will make every effort to advise you of any changes in advance of travel. In order to ensure availability of the preferred accommodation establishments on this escorted tour (as specified), it is recommended that reservations are made at least 30 days prior to departure date. Reservations made after this date may result in accommodation being amended, subject to availability. Transportation is in air-conditioned luxury SUV’s, Minivans (ie Hyundai H1), Toyota Quantums or Mercedes Sprinters appropriate to the requirements of the tour and based on passenger numbers. 1 Suitcase and 1 overnight bag per person allowed. This semi-escorted tour showcases the splendour of South Africa. Start in the Mother City of Cape Town, the birthplace of South Africa which boasts some of the world’s best scenic drives. 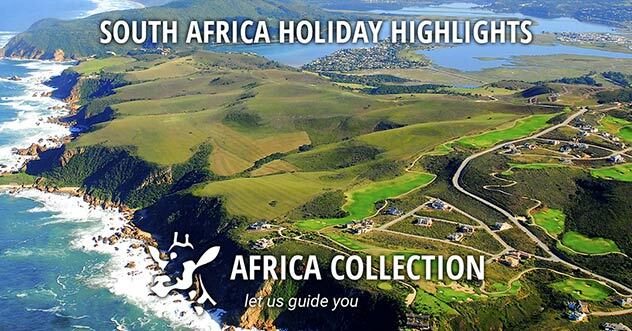 Continue along the beautiful stretch of coastline known as the Garden Route to Port Elizabeth. Spend a few days in the bustling city of Johannesburg which is in a major urban revival and transformation – a metaphor of the socio-political advances being made in South Africa. 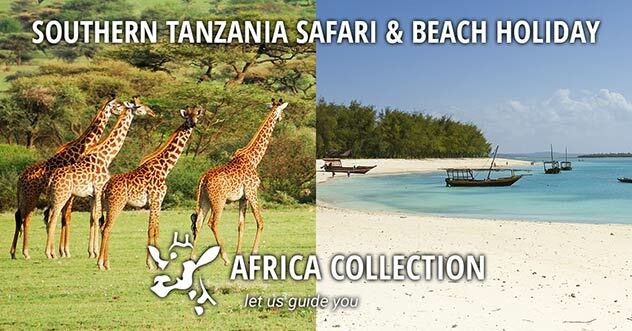 The latter part of the tour concentrates on the magnificence of the landscapes and wildlife experiences that this varied country has to offer. Some of the touring days are quite long, but you will capture the essence of this beautiful country. 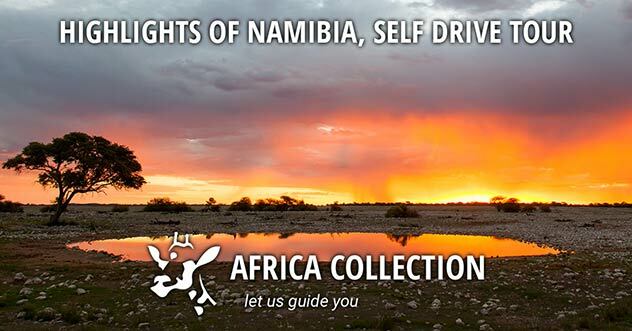 So if you are up to an experience of a lifetime, and want to get acquainted with this corner of Africa, this guided tour is for you! "Thanks for organising what truly turned out to be a phenomenal experience for us all. We will definitely recommend you to others." "We have arrived back safely from South Africa. We have all had an amazing time, lovely country and people. All the arrangements went so smoothly, Hopefully we will be lucky enough to return one day. Thank you for all your help in making a dream holiday for us, it is going to take some beating!"